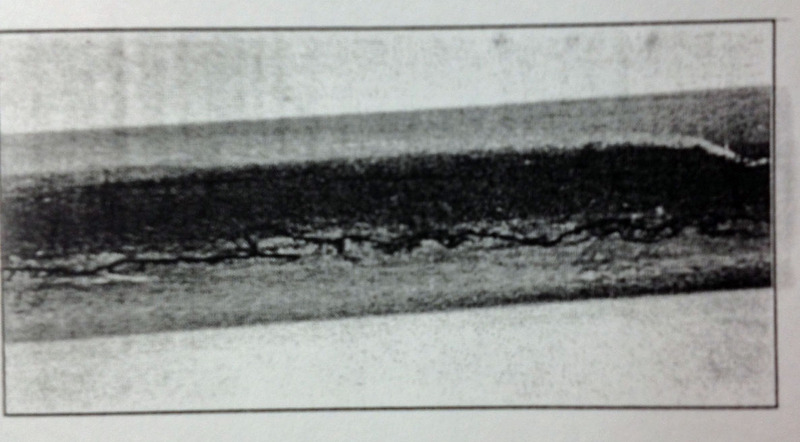 Photo of a lap from AISI Surface Defects Manual. An etch of the full section shows what is going on in the mill. 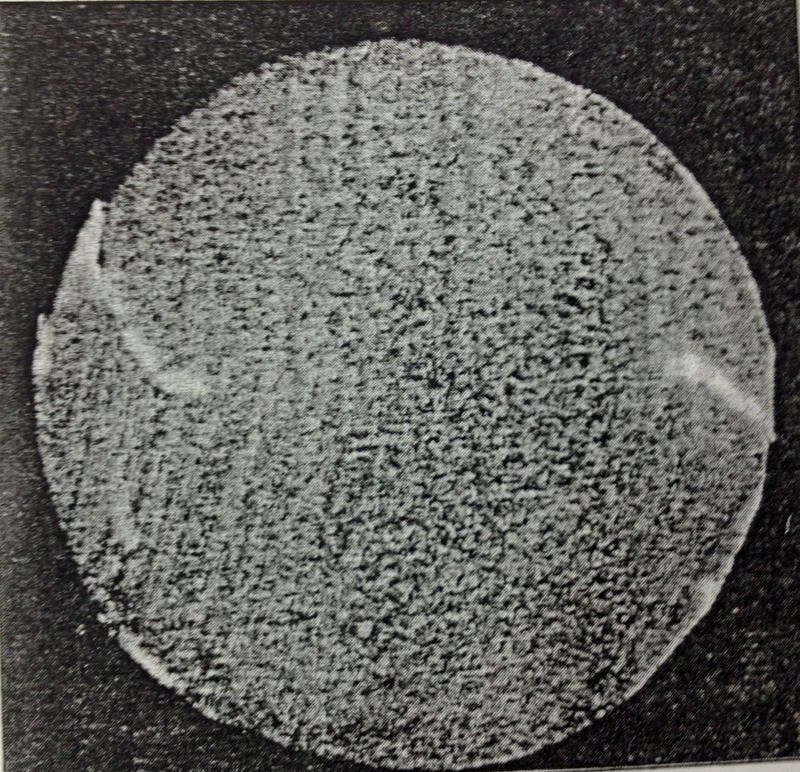 Laps were often related to poor section quality on incoming billets, although overfill scratches, conditioning gouges from “chipping” have also been shown to cause laps. 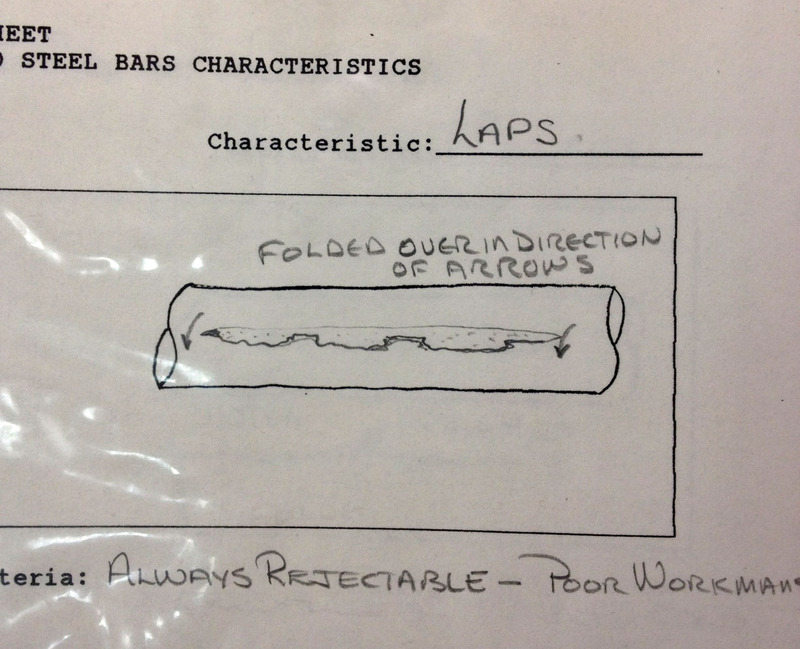 Cross section of steel bar exhibiting laps (white angular linear indications). When two laps are present 180 degrees apart, the depth to which they are folded over can indicate where in the rolling the initial over fill ocurred. White indicates decarburization, which confirms my interpretation that this lapping occurred early in the rolling. Laps are often confused with slivers, and mill shearing which we shall describe and post soon. 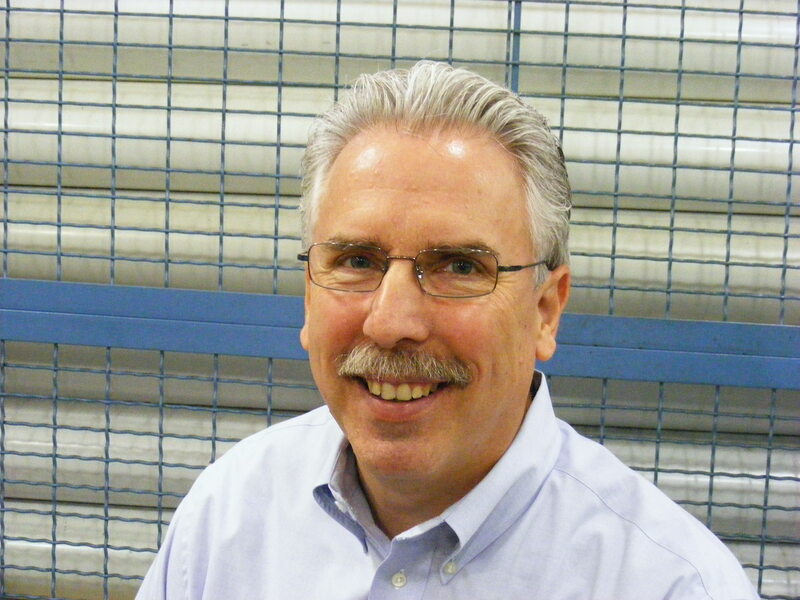 This entry was posted on Tuesday, May 15th, 2012 at 4:40 pm and is filed under Engineering, Shop Floor. You can follow any responses to this entry through the RSS 2.0 feed. You can leave a response, or trackback from your own site.